are the animals reared on your farm? All our produce is 100% organic however not all our animals are reared on Coombe Farm due to space. Farming the vast range of animals, we sell on the website would be very difficult and would require a lot more land than we have. Therefore, we use organically certified farms that are specialists in farming the animals they do. Our beef, lamb and pork is reared on our farm at HQ, our poultry is reared on an organic farm a few miles away, our venison is based in Devon. 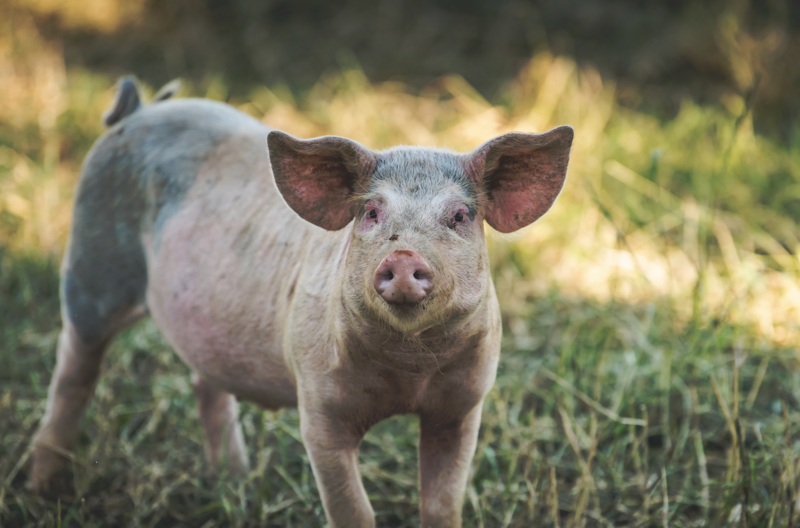 Our pigs have only recently been added to Coombe Farm so we are still working with our original family farm in Langport, 20 minutes away until our farm is producing a continuous number of pigs for our customers. Our salmon is slightly different, we use Glenarm for our smoked salmon who are based in Ireland and JCS Salmon Specialist based in Scotland, the reason we use these two companies is because they rear the highest quality organic salmon and we want our customers to have the best. Our lamb is 100% grass-fed. Our beef is 85% grass-fed but throughout their lives they are supplemented with 15% grain, however it isn’t a processed grain, it is made up of our homegrown organic crops. The reason we feed our beef our homegrown grain is for welfare reasons because throughout their life they may need a little helping hand. The regulations towards calling the animals ‘grass-fed’ is that they must be 85% or more, as our beef is we call them grass-fed. In regards to our pork, they are all fed with an organic grain, pigs will rummage amongst the ground however they will not consume enough grass to maintain a suitable diet, this is also the same for the poultry. Our venison is fed majority grass however where they are reared spelt is produced so they are fed the husk that is taken off the pearled spelt because there is nutritional value in it otherwise it would go to waste. Coombe Farm Organic is certified by the Soil Association www.soilassociation.org, the UK's largest organic certification body. We are not only proud of this but we want to go further. At Coombe Farm, we not only believe in sustainability - we live it. Organic animals enjoy the very highest welfare standards – they are truly free range and have plenty of space and access to fields. For more information please have a look at www.soilassociation.org/whatisorganic. Where can i find the ingredients in your products? how long will my products last in the freezer and fridge? Your products will last in the freezer until their best before date, the product you put in your fridge need to be consumed with 5 days once it has fully defrosted. Can i cook my meat from frozen? We don’t recommend it; it is better to defrost the produce before cooking. Yes, once you have cooked the produce and allowed to cool you can then freeze the leftovers. We deliver across mainland Britain, all British Channel Islands and the Highlands. We do not deliver to Ireland because we cannot guarantee your box will arrive with you in time for the products to still be frozen. We deliver our boxes Tuesday – Saturday every week offering Pre-12 deliver as well as standard delivery if you require your box early. If you place your order before 12pm we can process and deliver your box to you within 24 hours. However, if another day suits you better you are more than welcome to select that date. If you are looking to set a subscription up with us, when you go through checkout you can then choose the frequency you receive your order. If you spend over £80 your delivery will be free of charge. If your order is below £79.99 the charge for Tuesday – Friday delivery is £3.95, delivery on a Saturday is £6.95. We also offer Pre-12 delivery which is £6.95 for weekday delivery and £8.95 for Saturday delivery. No, when you go through the checkout there is a designated box to write any delivery notes. We would advise that you choose somewhere in the shade so it stays cool, especially through the summer. On the morning of your delivery date our courier will send you a text message or email, whichever you prefer with an hourly time slot for delivery so you know when to expect your box. We have a minimum order of £30, this is for sustainability reasons so that less boxes are sent out reducing the environmental footprint. Another reason is because £30 would be the right amount of produce to keep frozen through delivery, one or two products unfortunately wouldn’t stay frozen. How long will my order stay frozen? Our products will stay frozen for up to 40 hours. When you receive your order, you can simple put the products in the freezer or put it in the fridge to defrost. At Coombe Farm we believe in sustainability. And we live it. All our packaging you receive is recyclable. We also encourage our customers to return their packaging to us, this is so we can re-use the wool and icepacks and our customer receive loyalty points towards free gifts. The customer will need to return 5 boxes to receive their first gift. We accept all credit and debit cards except American Express. You can also checkout using PayPal. Yes, it is very safe to pay online using our website as we use the latest security standards and do not save any bank details. how do i use a gift voucher on your website? When you are checking out there is a designated box for enter your code into to receive your discount. Unfortunately, we cannot accept refunds for our produce due to the nature. However, if you are unhappy with your produce please contact our customer service to sort out any problems. Want to know a little bit more about where you food is coming from? 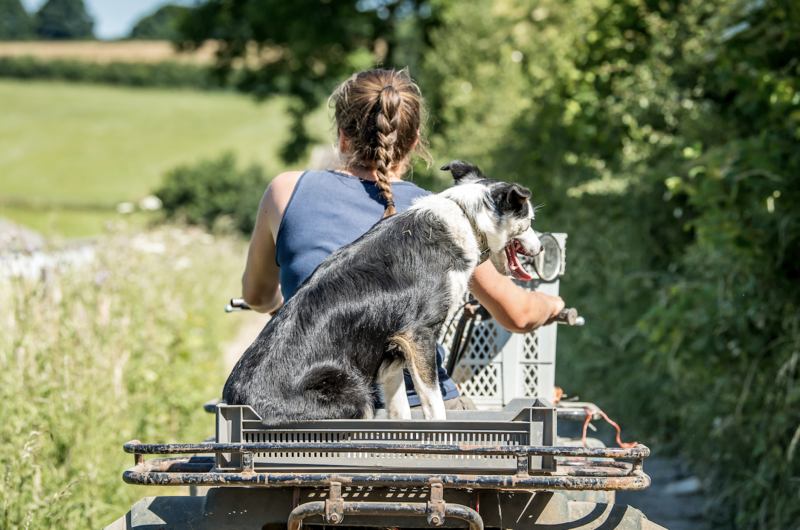 You can discover more about how we farm, and how we source additional produce to complpete our range over on our livestock pages.